The hubby was at it again and this time he pulled out he slow cooker and made fajitas. 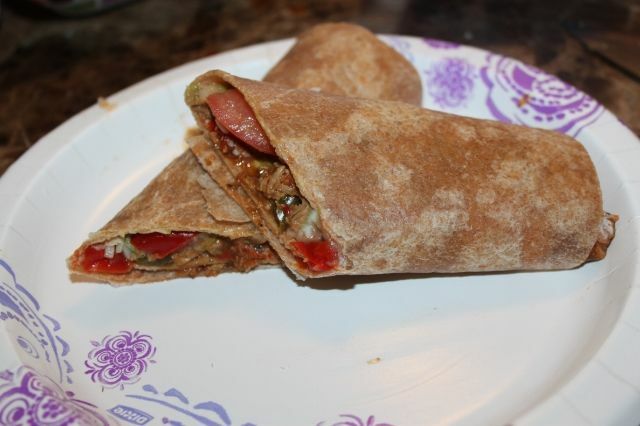 He found this recipe on Allrecipes.com and we changed it up a bit to fit our tastes and dietary needs. Open Reynolds® Slow Cooker Liner and place it inside a 5- to 6 1/2-quart slow cooker bowl. Fit liner snugly against the bottom and sides of bowl; pull top of liner over rim of bowl. Place chicken in Reynolds® Slow Cooker Liner. Place onions and bell peppers on top of chicken. 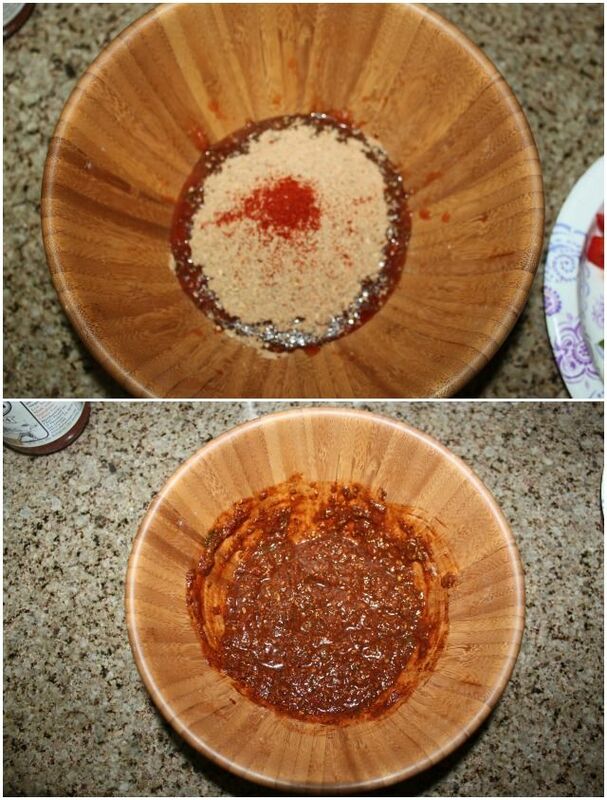 Mix salsa, fajita seasoning mix and cayenne pepper in a medium bowl. Pour over chicken. Place lid on slow cooker. Cook on LOW for 6 to 7 hours OR on HIGH for 3 to 4 hours until chicken is done. Carefully remove lid to allow steam to escape. Gently stir chicken and sauce with a plastic or wooden slotted spoon. 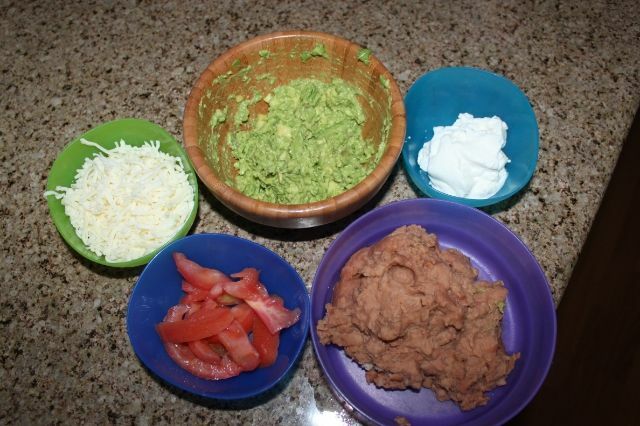 Spoon 1/2 cup of chicken mixture into center of each tortilla; add desired toppings and fold tortilla over filling. Do not lift or transport liner with food inside. 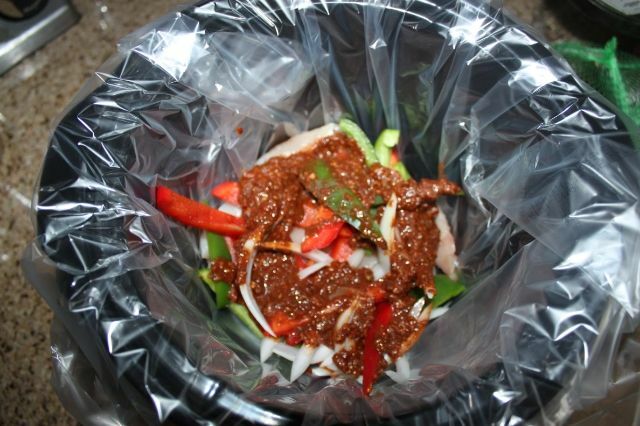 Cool slow cooker completely; remove Reynolds® Slow Cooker Liner and toss. These were super yummy and will for sure be on our "make again" list! 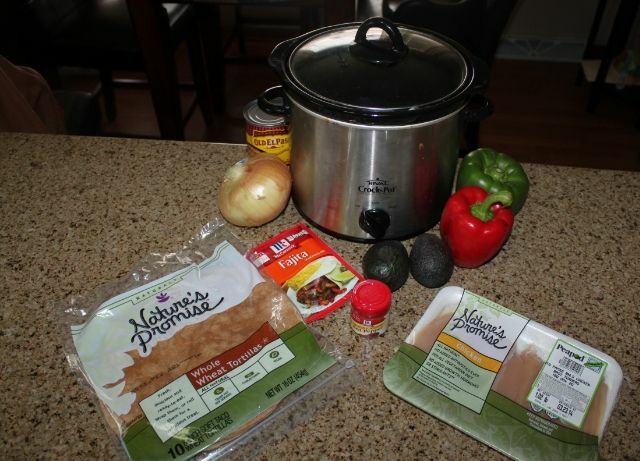 Have you ever tried slow cooker fajitas? 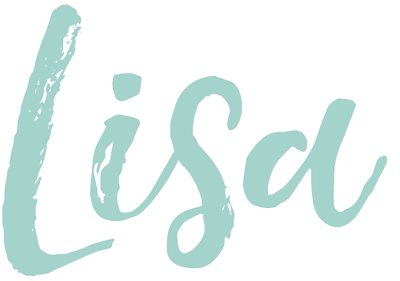 Is this something you and/or your family would enjoy? mmm. i unintentionally made a beef and peppers dish that became so soft that it was like pulled beef. we ended up eating it with tortillas!